MERMAID FINS, WINDS AND ROLLING PINS: A Cozy Witch Mystery by Erin Johnson is on book tour with Great Escapes Book Tours. The tour stops at Readeropolis today with an author interview and two giveaways. One giveaway is for the entire tour and the bonus giveaway is just on the Readeropolis blog. Enjoy! I’ve written this book (and the others in the series) for cozy mystery lovers first, and fantasy lovers second. I think anyone who liked one of the two, would enjoy the story. This book is definitely more adult than the first two. There’s mystery, adventure, romance, loveable characters you care about, and besides the mystery each book, an overarching mystery about my main character’s past and the history of the magical kingdoms. I actually have designed all of my covers. I didn’t intend to, but as I started playing around with Photoshop to explain to designers what I wanted, I ended up learning enough to design them myself. Other cozy witch mysteries often feature illustrations of witches, so I wanted mine to fit in with the genre, but to include a bit more of the fantastical as well. 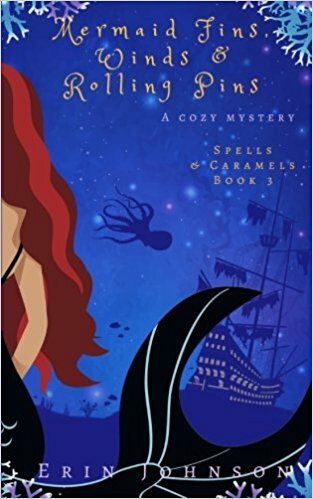 The other covers in the series feature striped witch legs and a hat, but for this one, as it take place under the sea, I included a mermaid. I think in this book, Queen Winnie the Finnie (queen of the mermaids) has to be my favorite character. She’s not the classy, ethereal beauty I picture when I think of mermaids (like her grandma is). She’s loud, outgoing, and a bit crass, and loves to party hard. But she also has a big heart, is fun, unintentionally hilarious, and very open about who she is. I have a lot of random talents and hobbies, haha! But, to pick one, I’ve taught dance and Pilates for many years and used to teach a hula hoop fitness class. I can hula hoop on my feet, waist, and do throwing tricks with one. 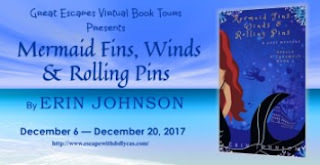 My website (www.ErinJohnsonWrites.com) has links to all of my books, which are for sale in print and ebook on Amazon. You can get a free, illustrated recipe book there, which will sign you up for my newsletter- the best way to get updates. I’m also on Facebook (https://www.facebook.com/EJohnsonWrites/) which is another way to get updates and hear about giveaways I’m running. 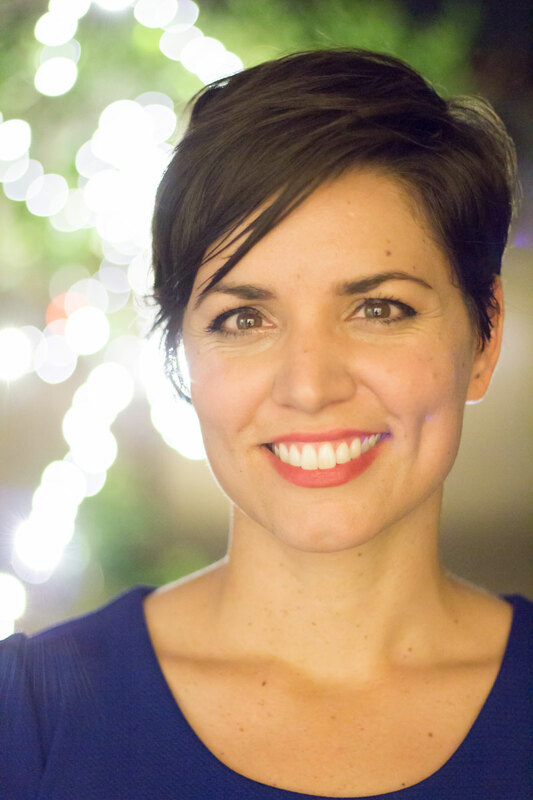 And if you check me out on Twitter (https://twitter.com/EJohnsonWrites), you’ll get a peek into my political leanings, and a lot of cute pics of dogs and things that make me laugh. I’m working away on book four in the Spells & Caramels series right now, “Cookie Dough, Snow & Wands Aglow”. I hope to have it ready and for sale before the end of the year. For readers, if you enjoyed the baking aspects of my series, I was very much inspired by watching the Great British Baking Show, on Netflix—I highly recommend it. It’s high drama, in a very polite, British way and you learn a lot about baking—but it will make you want to eat. For writers, I think everyone has their own path to writing and publication that fits them. But, if you’re interested in self-publishing, which is the route I went, I’d recommend checking out Joanna Penn and Chris Fox. Their videos and books have been immensely helpful to me. This book sounds like an amazing read. Looking forward to reading the book. What a fun sounding read! Thanks so much for featuring my book and interview! :) I really enjoyed your questions. It's my pleasure! Thanks for doing the interview. Best of luck with MERMAID FINS WINDS AND ROLLING PINS and the book tour. The book sounds really great--I'd love to read it!